Length: The male measures up to 92 cm, the female up to 114 cm. Distribution area: Can be met in the whole of Thailand. 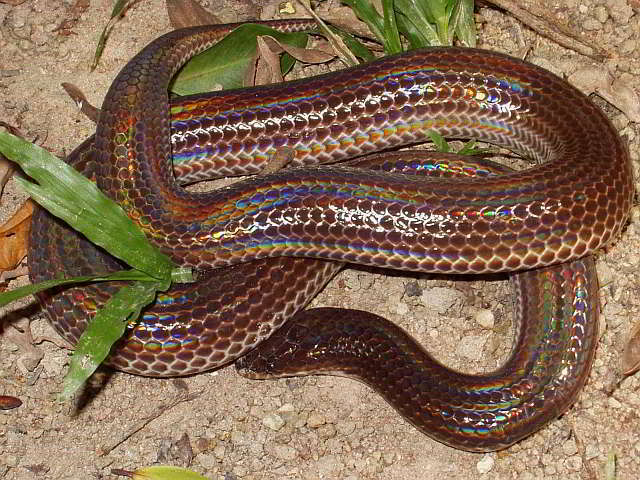 Behaviour/habitat: The snake is active at twilight and is nocturnally active. During the day, they like to hide themselves under rotting leaves and in compost and rubbish heaps. They eat frogs, lizards, other snakes and small rodents. They snake their tail is a warning if aggravated but do not generally bite.